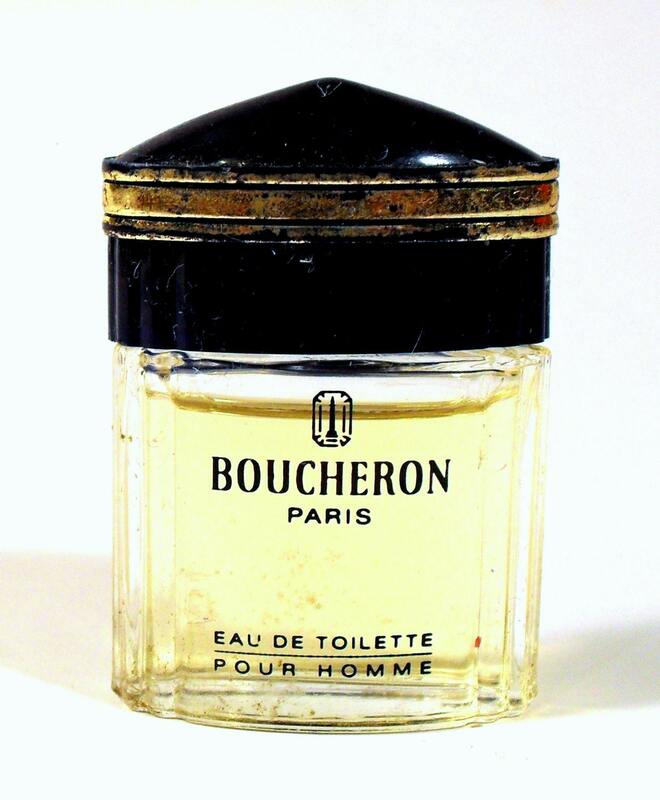 Vintage c1991 Boucheron Pour Homme by Boucheron 4.5ml/.15oz Eau de Toilette Collectible Mini Perfume Bottle. No box. 100% full. The plastic cap has scratches and wear to the finish. Note: this is no longer fresh smelling as it has turned, much more suited as a collectible mini than a regular in your fragrance wardrobe. 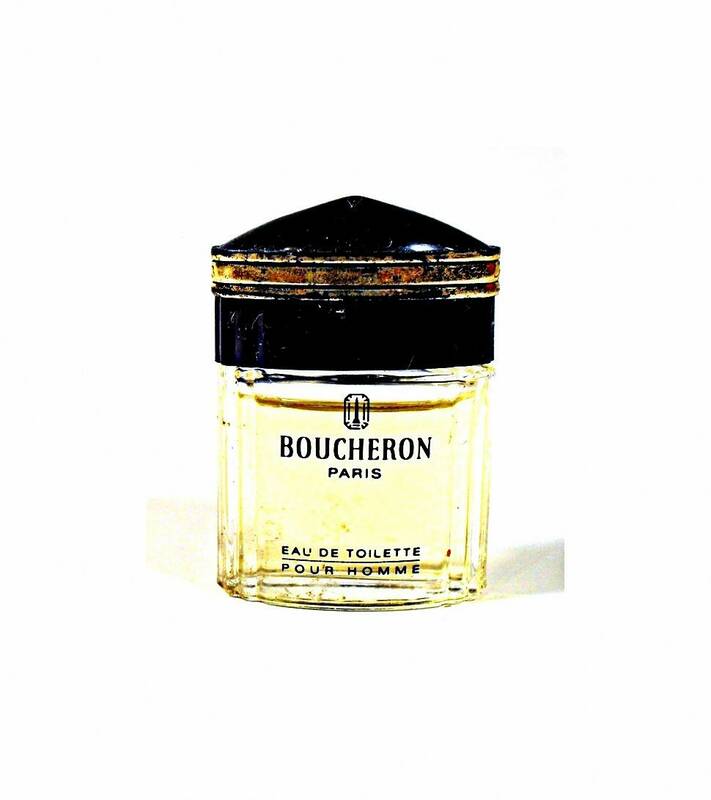 Base notes are sandalwood, tonka bean, amber, musk, benzoin, oakmoss, vetiver and incense.